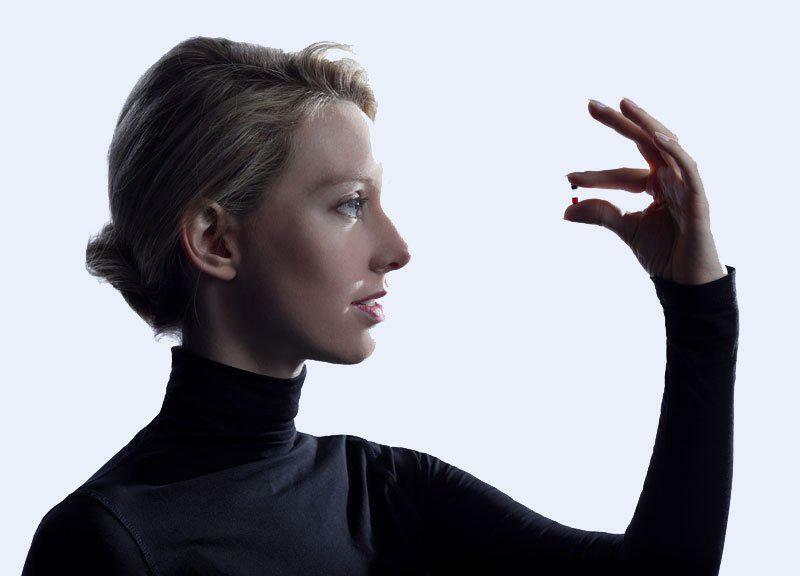 Theranos: Elizabeth Holmes' painless blood testing invention makes her third youngest billionaire on Forbes list. This article originally appeared in Business Insider. The next time you get a blood test, you might not have to go to the doctor and watch vials of blood fill up as the precious fluid is drawn from your arm. No more wondering to yourself, “Ah, how much more can they take before I pass out?” Instead you might be able to walk into a Walgreens pharmacy for a reportedly painless finger prick that will draw just a tiny drop of blood, thanks to Elizabeth Holmes, 30, the youngest woman and third-youngest billionaire on Forbes’ newly released annual ranking of the 400 richest Americans. Revolutionizing the blood test is a golden idea. Because of new testing methods developed by Holmes’ startup Theranos, that lone drop can now yield a ton of information. The company can run hundreds of tests on a drop of blood far more quickly than could be done with whole vials in the past—and it costs a lot less. Holmes dropped out of Stanford at 19 to found what would become Theranos after deciding that her tuition money could be better put to use by transforming healthcare. Traditional blood testing is shockingly difficult and expensive for a tool that’s used so frequently. It also hasn’t changed since the 1960s. It’s done in hospitals and doctors’ offices. Vials of blood have to be sent out and tested, which can take weeks using traditional methods and is prone to human error. And, of course, sticking a needle in someone’s arm scares some people enough that they avoid getting blood drawn, even when it could reveal lifesaving information. Holmes recognized that process was ripe for disruption. It took a decade for her idea to be ready for primetime, but now it seems that her decision to drop out was undoubtedly a good call. Last year, Walgreen Co. announced that it would be installing Theranos Wellness Centers in pharmacies across the country, with locations already up and running in Phoenix and Palo Alto, California. And Holmes has raised $400 million in venture capital for Theranos, which is now valued at $9 billion (Holmes owns 50 percent). The other two 30-year-olds on Forbes’ List, Facebook founder Mark Zuckerberg and his former roommate and Facebook CEO Dustin Moskovitz, also have access to a wealth of information about people—but their data is less likely to directly save a life. One closely guarded secret is what MedCityNews calls “the most interesting part of [the Theranos] story”: how exactly the technology behind its blood test works. The company’s methods are protected by more than a dozen patents filed as far back as 2004 and as recently as last week. While we can’t yet assess independently how well that method works when compared with traditional blood tests, it already seems to be upending the old way of doing things. Holmes told Medscape that she targeted lab medicine because it drives about 80 percent of clinical decisions made by doctors. By zeroing in on the inefficiencies of that system, the Theranos approach completely revolutionizes it. The new tests can be done without going to the doctor, which saves both money and time. Most results are available in about four hours, which means that you could swing by a pharmacy and have a test done the day before a doctor’s visit, and then the results would be available for the physician. Quick tests that can be done at any time are already a total change, but the amount of data the company can get from a single drop of blood is amazing. Blood samples have traditionally been used for one test, but if a follow-up was needed, another sample had to be drawn and sent out—making it less likely that someone would get care. The Theranos approach means the same drop can be used for dozens of different tests. Plus, people get access to their own results. As an example of how helpful that can be, Holmes told Wired that Theranos charges $35 for a fertility test, which is usually paid for out-of-pocket and costs up to $2,000. But she also said that this data could be useful for anyone looking to gain a better understanding of his or her health. “By testing, you can start to understand your body, understand yourself, change your diet, change your lifestyle, and begin to change your life,” she said.